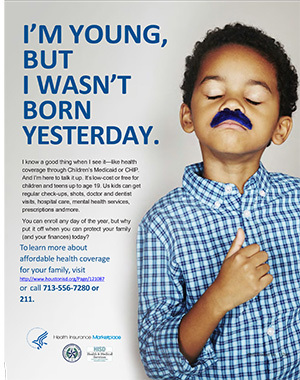 Schools are in a unique position to identify and connect eligible children to health insurance. Our goal in offering this toolkit is to provide school and community leaders and parents and child advocates with a framework to build community support for connecting children to health insurance through schools and to provide the practical steps schools need to take to implement a successful and sustainable campaign. This toolkit sets the stage for school districts to partner with community agencies to identify and enroll eligible students in health insurance through a proven strategy in a simple, routine and cost effective way. When we insure our children, we ensure our future. Asking this simple question, “Does your child have health insurance?” on important annual school forms, is central to ensuring all children in your school district are happy, healthy and ready to learn. Make sure to visit the Toolkit User’s Guide as you get started. Why Build a Team? As a district or school, you have decided to address the challenge of children without health insurance. The next steps are to 1) build a team; 2) identify uninsured children; 3) add a health insurance question to your annual forms; 4) enroll students and/or develop partnerships to enroll students; and 5) develop a plan for sustainability and evaluation of your effort. Who can affect school and district policies. Who Should Be on the Team? Critical to the foundation of the CDF/AASA proven strategy are the superintendent, the district information technology lead and the district's coordinator or director of school health. The buy-in and engagement of the superintendent will facilitate implementation, compliance and replication of the health insurance initiative. The superintendency is a bully pulpit in your community. It provides an important platform from which to advocate an agenda that healthy children are better learners, so schools have a role in identifying students without health insurance and helping them obtain coverage. The superintendent represents your team's vision for healthy children and can engender support throughout the community. How Do You Build Successful Teams? Successful teams regularly reassess to ensure they have the right internal and external mix of people, partnerships, potential and power. They call on their networking skills to get to know "who's in the room" at meetings and conferences, who can be engaged and to whom the team should communicate progress or project needs. Successful teams are not only diverse in terms of areas of expertise or influence, but they need to continually seek to educate and expose others in the district and community to enrollment efforts. Teams can broaden their membership to include community businesses, local and state political representatives, and district union representatives which may prove beneficial for action planning and sustainability. Why Must Uninsured Children Be Identified and Enrolled? Health affects every aspect of a child’s life — including the ability to grow, learn, play and succeed. Academic achievement and health are closely linked. Children who cannot focus due to a toothache or who don’t have the needed glasses to see the chalkboard or hearing aids to hear their teachers and classmates are less likely to achieve in the classroom. Children with health insurance are better equipped to handle health-related issues such as chronic illness, hunger and physical or emotional abuse — which untreated can lead to poor academic performance.12 Children are more likely to have health insurance if their parents do,13 and insured children are more likely to experience educational success and overall well-being than their uninsured peers.14 As a trusted community partner, schools can play a unique role in identifying uninsured children and families and connecting them to health insurance. CDF and AASA’s tested model provides school districts a basic question to add to their school registration materials: “Does your child have health insurance?" Children whose parents answer “no" or “I don’t know" and give their permission can then be contacted for application assistance. Why Do Outreach? Schools are in a powerful position to bring critical information about affordable health insurance to students and their families, and to identify and enroll children in health insurance so they have access to preventive care and other important health care benefits. The importance of this work cannot be overstated. The extensive benefits for everyone involved include better student, teacher and school performance. Parents, of course, benefit by seeing their children flourish. Why Schools and Community Agencies Partner? School districts offer a unique setting for identifying uninsured children and connecting them to affordable health insurance. Many families look at schools as a safe haven for their children and trust the school personnel. Offering assistance, education and resources for children's health insurance enhances the family-school relationship. The process for insurance enrolment varies by state. Sometimes school personnel can directly enroll students in health insurance, but some states have established certified enrollment agencies to assist families. The key to successful child health insurance enrollment is collaboration between school districts and community partners. Who Enrolls Students? School health professionals are an integral part of the team. Often an employee or trained volunteer will assume the responsibilities of school outreach worker. This person is the liaison between the family and other community agencies, helping connect families to health insurance and other services they need. The video to the right clearly shows how school outreach workers are caring, compassionate people with a wealth of resources to offer. Why is Sustainability Important? Sustainability planning is a critical element of child health insurance enrollment in schools because it allows a project team to better understand what program components are necessary for long-term success. Ultimately a sustainability plan will help a team turn big ideas into manageable and actionable steps. It’s important to remember that you may need to make adjustments along the way. Your team needs time to assess the current project and determine which activities are and are not working. This flexibility allows teams to continue to improve on systems and strengthen buy-in. Having your sustainability plan in writing allows project team members to communicate and even market their efforts to a broader group of school district and community stakeholders. Who is Essential to Sustaining Health Outreach and Enrollment? In order to conceptualize and organize around project goals and objectives it is beneficial to have a sustainability plan in writing that has been sanctioned by your school or district leaders. This plan provides a roadmap for successful program implementation by the project team and lasting collaboration among project partners. How to Achieve Sustainability. There isn’t one way to think about and plan for sustainability. Ultimately effort committed to planning for sustainability early on provides your district team with a path to follow as you and your partners work toward the goal of insuring children. Through CDF and AASA’s work in schools, and our systematic approach to program evaluation, we have outlined a way to think about and plan for program sustainability while incorporating concepts shared in research completed at the Center for Public Health Systems Science at Washington University.37 One of the first steps while meeting with your project team is to brainstorm answers to this statement: “For this project to successfully continue over time it needs…” The answers will provide a framework for developing a sustainability plan.